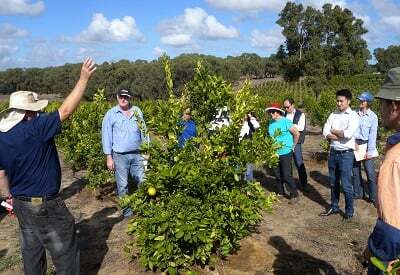 The WA citrus industry faced downward price pressures. A large group of small producers were struggling for viability while a few large operators, who dominated the market, embarked on expansion. These investments had the potential to worsen over-supply issues, jeopardising the industry through lack of planning. In addition, alternative markets and value-add opportunities were needed for second grade fruit, to boost incomes and minimise waste. Lack of trust between growers and other value chain participants, and a history of separate-step activity (grow>process>distribute>sell) highlighted the need to explore collaboration. 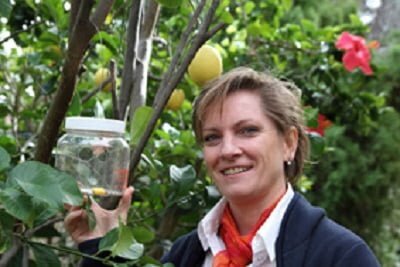 Bronwyn Walsh, Industry Manager of Citrus WA, approached Farming Together, hoping to review the strategic plan they had created three years earlier. A key challenge would be to create an effective collaboration structure and governance processes, and to help members understand the benefits of working together. “As Industry Manager for a member-based organisation, my role is to look for opportunities to bring people together. We chose a structure with representatives from growers, packers, exporters, agronomists and government agencies, to help secure critical volume and to minimise costs,” Bronwyn Walsh. Field Days with agronomists. Bronwyn Walsh, WA Citrus. Develop and present case studies from other sectors to lift the groups’ understanding of collaboration benefits. Peter saw that the group had made significant progress. “They moved from no exports to 3,000 tonnes per year and estimated a rise to 8,000 tonnes for 2018.” However, much of this gain was from individual effort. An industry vision for collaboration had not been mapped or implemented. The review refocused the group on leveraging their group advantages: upgrades, consolidation and joint use of packing sheds, group input into export marketing; more efficient waste management; and joint product development for second-grade fruit. The group explored feasibility options for juice supply to local sports events and examined cross-industry opportunities (with Veggies WA). By pooling their resources, buying collectively, sharing skills and working collaboratively the group increased production volumes. They have developed more robust varieties and improved quality standards. Next steps include profit improvement measurements and developing a plan for bio-security.